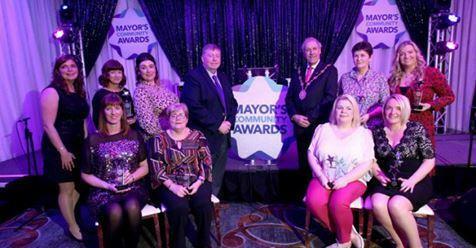 We are delighted to have received an award from Mayor Uel Mackin at a recent award ceremony at La Mon Hotel. This award acknowledges the fact that Moneyrea staff, teaching and non-teaching, our Governors and PTA go the extra mile to create learning, challenge and fun for all our pupils. We are delighted to have their fantastic work acknowledged in this way.